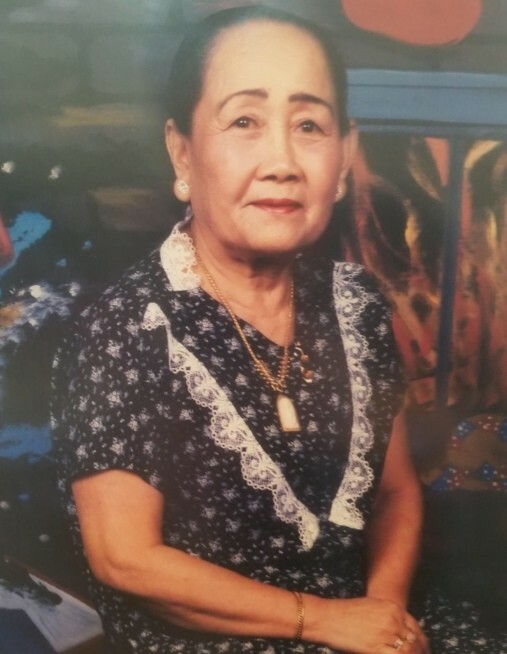 Khamsing Noudaranouvong, 87, of Tecumseh, passed away Friday, March 29, 2019 at her home in Tecumseh, Nebraska. She was born to Choum and Noy Xayasane in Khongsedon, Laos on July 5, 1931. She was the fourth oldest of eleven children. Khamsing was the last surviving child from this union. She was united in marriage to Khamsone Noudarnouvong in Khonsedon, Laos. To this union six children were born. Khamsing was a stay at home, loving mother and grandmother. She enjoyed listening to music, watching videos and movies and dancing. Her husband Khamsone passed away April 5, 1989. Khamsing is survived by her children, Manivone, Khampone, Kaviphone, Fasalone, Daosone and Malaylone, 17 grandchildren, 29 great-grandchldren, other relatives and friends. She was preceded in death by her parents, husband and ten siblings. Funeral services will be held at 1:00 p.m. Saturday, April 6, 2019 at the Wherry Mortuary in Tecumseh, Nebraska. Visitation will be at the Wherry Mortuary, Thursday, April 4, 2019 from 9:00 to 5:00 p.m. and Friday, April 5, 2019 from 9:00 a.m. to 8:00 p.m.
Memorials may go to the family's choice.